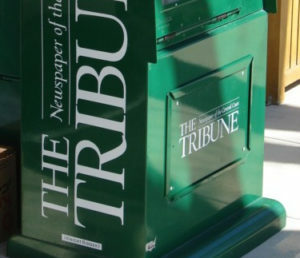 The Sept. 16 Tribune editorial referred to an accusation that was lodged against me on the evening after the San Luis Obispo County District Attorney filed multiple criminal conflict of interest charges against John Wallace, the former sanitation district administrator. By the time of Mr. Wallace’s resignation from the sanitation plant, he had allowed the biological treatment process there to completely break down, and sewage was being massively chlorinated before being dumped in the ocean. The Tribune didn’t notice. As Administrator, Mr. Wallace would tell the board that the district would do work “in house,” implying district employees would perform it, but instead Wallace’s engineering company employees were brought in. They were even provided business cards with the district logo that differed only in the San Luis phone number. Faced with that, I attempted to divide Wallace’s contract with the objective of getting outside proposals for engineering services, but received no support from fellow board members Arroyo Grande Mayor Tony Ferrara and Grover Beach Councilman Bill Nicolls. Wallace continued to parallel-engineer (i.e., duplicate engineering work done by other district suppliers) many items and projects at significant unnecessary cost. The 2011 Grand Jury investigated Wallace’s 20 year contract as district administrator and engineer and concluded it had evolved into an obvious conflict, but Ferrara and Nicolls either turned a blind eye or were complicit and did nothing. 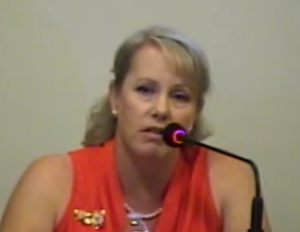 Caren Ray, appointed to the Arroyo Grande City Council by Ferrara, disparaged the grand jury report at the time. She was subsequently appointed as a county supervisor and thus to the board of the Integrated Waste Management Agency (IWMA) where she was directly responsible for oversight of public funds, but never reported any concerns. Of course, the Tribune didn’t have any concerns either. It was Arroyo Grande Council member Tim Brown who finally did. In 2010, there had been a massive sewage spill and the Regional Water Board proposed a fine against the district of between $200,000 and $400,000. Instead of settling, the day after the election in 2014, Ferrara, Guerrero, and recently appointed board member Marshall started a lawsuit against the State Water Board in an attempt to defend Wallace’s operation of the sanitation plant. This also escaped the Tribune’s attention. 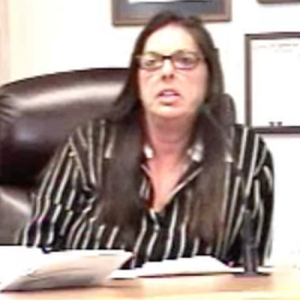 After I left the Oceano CSD and sanitation boards, Grover Beach Mayor Debbie Peterson tried to bring these issues to light but was in turn stifled by Ferrara and newly appointed Oceano Board member Matt Guerrero. By the time I was elected by write-in as mayor and assumed the seat on the sanitation district board (as required by California statute), the fine for the 2010 spill had escalated to over $1 million. Delays due to resistance to ending the suit from Guerrero and John Shoals saw the legal fees alone grow to nearly another million – with a potential trial still in the future. I prevailed in stopping that law suit and ending those fees and we were allowed to apply some of the fine on local projects. Meanwhile, when Wallace resigned, John Clemons had been engaged as plant superintendent and the proper biological process was restarted. In contrast to Wallace, Clemons, a Grade 4 licensed plant operator, ran the plant well and even built up some financial reserves during his tenure, reversing the course to near bankruptcy he inherited from Wallace. Mr. Clemons’ immediate and continuing success and plain spoken manner must have embarrassed Wallace, and in turn his supporters Matt Guerrero and Bill Nicolls, and ultimately Nicolls’ successor John Shoals. On resuming board membership, I instigated, with continuing advocacy by Debbie Peterson and others, the investigation by Carl Knudsen into past district management practices. The Knudsen Report pointed to criminal misconduct by Wallace. A copy was delivered to the district attorney. The DA’s resultant independent investigation led to criminal conviction of Wallace not only for conflict of interest at the sanitation district but also at the Avila Beach Community Services District. Other and more serious charges at both agencies had been plea bargained or passed the statute of limitations. Mr. Clemons, a black man, our top licensed operator, became the subject and recipient of a series of unattributed emails of an unbelievably vile and disgusting racist nature. While Board members Shoals and Guerrero did nothing, on being made aware of these emails, I immediately took them to the AG Police Department. While still a board member, Lucey also authored comments on an internet site accusing Mr. Clemons of “polluting the ocean beyond repair.” The Tribune chose not to cover these examples of interference in personnel matters. Grover Beach Mayor Shoals, perhaps concerned that Clemons’ operation of the plant was an embarrassment to Wallace, also seemed to be easily irritated by Mr. Clemons. The sanitation district engaged a new administrator, who had a fair resume but no prior sanitation plant experience. Immediately after starting at the district, he engaged the legal firm Liebert, Cassidy, Whitmore. 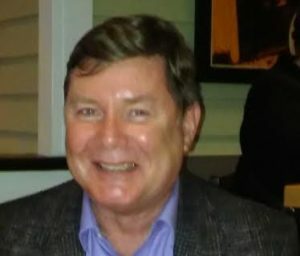 Lacking both a license to operate the plant or any relevant experience, the administrator surprisingly (to me) began immediately to challenge Mr. Clemons’ operational authority and even filed a false and malicious accusation with the water board (they issued a stern written rebuke to the administrator in response). In this, the Administrator appeared to be supported by Shoals, and Lucey and Guerrero, who tag-teamed unpredictably as board attendees. Soon, Liebert, Cassidy, Whitmore was authorized by the administrator and then Board Chair Shoals to investigate Mr. Clemons. Grievances were filed by operating employees against the administrator, and Shoals admitted in a district board meeting he had personally interceded on three occasions with Mr. Clemons in an effort to get the grievances retracted. Of course, the Tribune didn’t report any interference in personnel matters. Mr. Clemons asked on more than one occasion to address the board and to have a mediator help work out issues. A well-qualified mediator was hired and started work, but was summarily terminated by the administrator. Another “investigation” was started, like the others without concurrence of other than Board Chair Shoals, after a confrontation in the parking lot instigated by Mary Lucey after a board meeting. At this point, having previously seen employees terminated without recourse, and observing legal costs to conduct and support the investigations soaring into the hundreds of thousands, I sent an email to the district legal counsel about stopping the “phony investigations” of the superintendent. I believed that mediation or even open dialog could have solved nearly all of the issues at vastly less expense. At the Arroyo Grande City Council meeting on the day Wallace was criminally charged, I was accused by an AG resident of “sharing confidential personnel information” from the sanitation district (specifically, disclosing the Ventura address of the district administrator, which is a public record). This was an obvious political attack repeated immediately during that meeting by Mary Lucey and further encouraged there by Matt Guerrero. 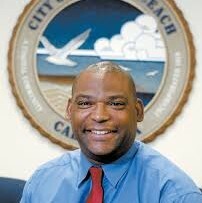 Despite the easily demonstrated and subsequently proven false nature of the accusation, newly elected council member Caren Ray moved for the city to ask the Sanitation District Board to join in investigating the so-called “misconduct” and to engage Liebert, Cassidy, Whitmore, whose lucrative practice of conducting investigations instead of mediation I had previously had the temerity to question. At the sanitation district, Lucey’s friend and successor, Linda Austin, readily joined Shoals in agreeing to do so. Without ever interviewing me, Liebert, Cassidy, Whitmore concluded that my email about “phony investigations” did constitute interference in a personnel matter. They then determined I had not violated the Brown Act, but stated that I was “likely to do so in the future.” More allegations by the sanitation district administrator were proven trivial and unfounded. expressed regret and protect my password since), all the allegations related to the city were determined unfounded. Without ever interviewing me on the issues, Caren Ray, Barneich, and Harmon voted to recommend the Sanitation District Board censure me. Shoals and Austin quickly put that on a board agenda, but sent their alternates, including Bill Nicolls’ wife Barbara, to actually vote for the censure. Shared between the city and the district, this investigation and report by Liebert, Cassidy, Whitmore resulted in nearly $100,000 of charges to taxpayers. You get to decide if it was worth it. I’m proud of my record at the sanitation district. I’m proud that I stood up against corruption and defended a good employee against vicious, concerted, personal and racial attacks and yes, Tribune editors, I’d do it again. Now we have another new administrator but this time he is working effectively. We’re finally on an even keel and moving forward. Perhaps Caren Ray can be excused for her ignorance of the sanitation district. She probably reads the Tribune. The business community is not dumb. Drive around Arroyo Grande, and you’ll see Caren Ray signs on developer and land owner vacant properties. On the other hand, many small business owners are showing their support for Jim Hill, with signs proudly displayed in front of their businesses. Yes, a couple of exceptions where you will see BOTH signs. Someone needs to explain to the Ray campaign crew that if a sign is already up for your competitor, THAT means that they support that person. To go beg for your sign to be put up too, just looks ridiculous! Why is it so hard to get These Carpetbaggers out of these offices. We all know they don”t deserve to be there. John Shoals is a crook. Mary Lucey is a loon. Matt Guerrero is a dishonest, sneaky liar. Tony Ferrara is a crook. Bill Nicholls is a crook. His wife Barbara is now his puppet crook stand-in. Caren Ray is married to a crook and desperate to climb the political ladder again. She is morally bankrupt and runs with Adam Hill and his crooked gang. The Tribune is a waste of ink, paper and the fuel it takes to drive it all the way here. This is what Jim Hill gets to deal with. Mr.Hill’s opinion is right on the money with the facts as presented. There is one exception of sorts in that the statement “we’ll do the work in house” is actually correct. Wallace is a professional, deceiver, a manipulator of words as well as many of his employee of that time period. If you were to interview any of the Sanitation employees, particularly those that had been terminated or have moved on, you would find that 95% of the jobs Wallace began was in fact completed “in house” by District staff. This was simply because of incompetence, inexperience or poor construction management oversight. The District did get charged out 100% of the job cost including endless rework and repeat engineering fees for mistakes, yet in the end actual Sanitation District employees completed the jobs. This is a fact and any one who believes otherwise is wrong,dishonest or ignorant of the truth. Mr. Hill tried for years to change these practices and was out voted by a crooked majority on every occasion and frankly if it was not for Mr. Hill I cant even imagine where the district would be at today. I can also tell you B. Nichols is a deceiver and has no place in politics. He was warned long before things came to a head and hung the districts employees in favor of Wallace. On a personal note Bill Nichols, you claim to be a honest Christian man, you’re not even close. I would like to thank you for setting the record straight, and I believe that this article clearly shows why Caren Ray is not a credible candidate for the position you hold as mayor of Arroyo Grande. As you report, time and time again, Caren Ray and her ilk embrace poor public policy, corruption and they work together to hide their unethical and criminal behavior. Among her closest friends and supporters are the widely discredited Adam Hill and convicted criminal John Wallace, both of whom have donated heavily to Caren Ray’s campaign. Perhaps more troubling than her criminal associations and their thinly veiled corruption, is Caren Ray’s poor judgement and character. Caren Ray has admitted to being involved in using alcohol while running around Arroyo Grande NAKED. How many adult public schoolteachers lack the judgement to perform such an immature and idiotic act? Perhaps this behavior should not result in Caren Ray’s prosecution, but I think most astute people would agree that this is not the type of person we want running our city! As citizens in a democracy, we all have an obligation to support good governance and ethical decision makers. Mr. Jim Hill has passed the test, and has shown he is willing to confront public corruption, withstand the arrows from the criminal crowd, and persevere through the nonsense of the whacky, ultra-left progressive clowns. Mr. Hill succinctly points out here why so many local Central Coast residents no longer consider the SLO TT to be a credible newspaper, and SLO TT editor Joe Tarica is just as complicit as the corrupt politicians for the attempt to fool the public. 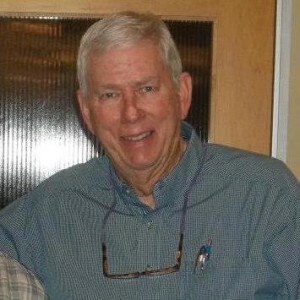 In November, Support incumbent Jim Hill as Arroyo Grande Mayor. Thank you Mr. Hill for your honesty and integrity while dealing with the corruption that has surrounded you, the Sanitation District and Arroyo Grande. There is a reason why the people of Arroyo Grande elected you as a write in candidate, it’s because of your honesty and integrity and for that reason I hope the same people choose not to elect Karen Ray and take a step backwards for the recovery efforts that you have made.It’s clear what she stands for and it’s not the same as your ethics.